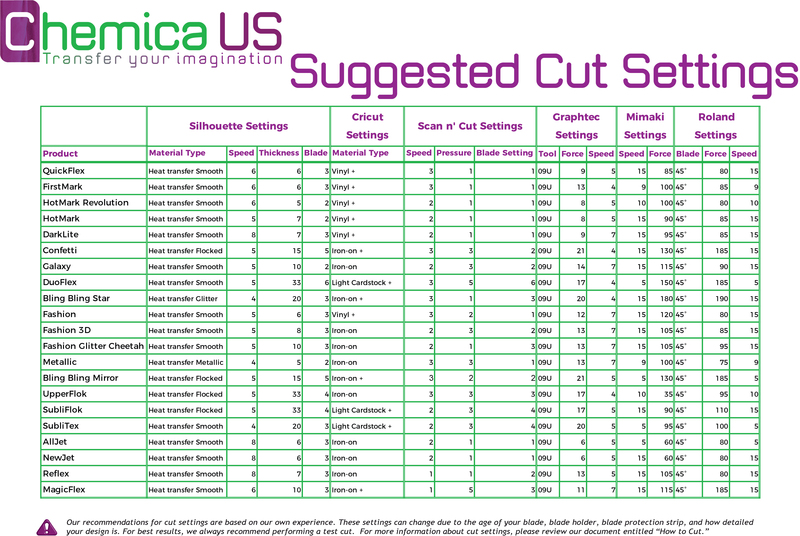 Below is a chart with our suggested cut settings for various cutters/plotters. Our recommendations for cut settings are based on our own experience. These settings can change due to the age of your blade, blade holder, blade protection strip, and how detailed your design is. For best results, we always recommend performing a test cut. For more information about cut settings, please review our document entitled How to Cut.